Hey everyone! This post is going to be different than my previous ones as it's my first haul. There aren't many pictures, this post is more like an introduction to the products and I will have lots of posts coming up that will include swatches and reviews of the products. 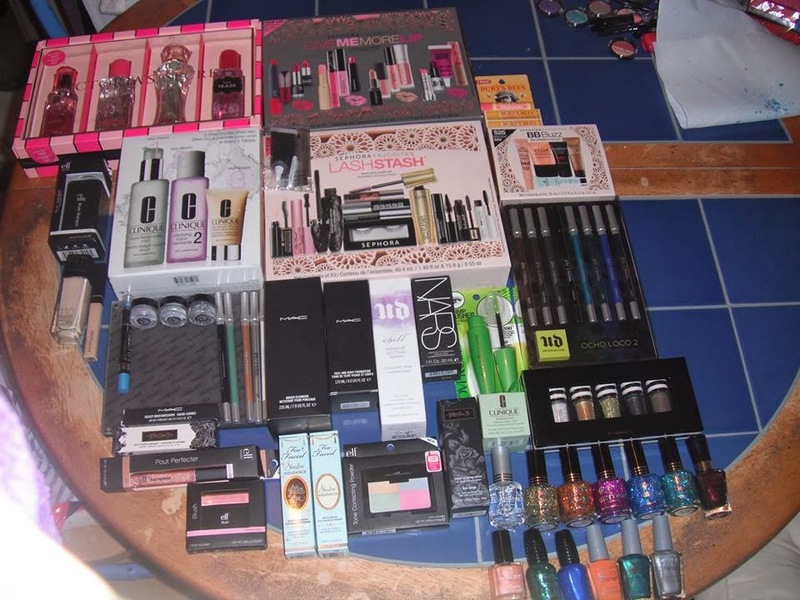 Now I must warn you I did buy a lot of stuff and this is just the makeup and skin care not including clothes, shoes and jewelry. I went a little insane because I live in Ireland and we don't have Sephora, Macy's or Walgreens. We do have some of the brands in those stores like MAC, Inglot, Urban Decay, Clinique and Smashbox to name a few but we don't have Wet 'N' Wild, Nars, Kat Von D, Covergirl and the Sephora brand and more. So I went nuts! One of my main goals was to get the Sephora Favorites sets. I got the Lash Stash mascara set which mean I'm set with mascara for about a year. I will gradually review this set one by one because if I open the mascaras they will start to dry out. That set was $45 I think. I will try to have a look and a review up every week if I can. I have more holiday looks coming up which I hope you like. I hope to do a variety of things on my blog including makeup looks, reviews, makeup series and maybe some nail designs if you guys are interested. Look out for the reviews and more looks coming up.